Here is a wrap up of TSEA legislation and other bills of interest as of May 5th. TSEA’s legislation was moved to a joint study committee after lengthy discussion and debate. The study will happen during the off season before next session in 2018. Although we would have celebrated the passing of this bill we are delighted that both chambers want to take this issue to a study committee so that next year this bill is in a better form and is stream lined for passage. This bill was an attempt to bring more accountability to the contracting process, as shown by the comptroller’s report regarding JLL and their lease management. The failure to adequately oversee contracts can have grave consequences. Lack of oversight opens the door for contractors to overcharge, skimp on services, or even flat-out fail to deliver on contractual obligations, ultimately leaving the public on the hook. The bill as amended would incorporate oversight costs into any decision to outsource, establish formal contract monitoring and oversight rules, provide adequate resources, including staff, training, and funding, to oversee every contract, and does not allow outsource of contract oversight. Further the bill would establish a presumption of public service delivery; think before you act and examine alternatives first; establish formal contract monitoring and oversight rules; pay attention to the bottom line; legislative notice and approvals. This bill would have restored longevity for all state employees. Currently only those hired before July 1st, 2015 are eligible. This bill failed in the House State Government Subcommittee on a 1-2-2 vote. The large number of House Co-Sponsors indicates growing support of giving longevity to all state employees. We also have significant support in the Senate. TSEA will pursue this bill again next year. The general purpose of this bill is to increase transparency with regard to Reductions-In-Force. The legislation requires each executive state department to report the number of preferred service employees affected by a reduction-in-force during the previous fiscal year to the Chairs of the State Government Committee of the House of Representatives and the State and Local Government Committee of the Senate by August 1, 2017, and by August 1 of each subsequent year. The legislation further stipulates that any appointing authority that terminates or furloughs an employee or reduces an employee’s hours of employment for any reason must provide written notice to the commissioner. Upon receiving notice, the commissioner must provide input throughout the reduction-in-force process. If a reduction-in-force occurs, the commissioner must notify the chair of the state and local government committee in the Senate, and the Chair of the state government committee in the House of Representatives no less than thirty (30) days after the RIF. The commissioner must provide the reason for the reduction-inforce and the number of positions affected by the reduction-in-force. The bill also requires that a notice of termination must include the reason for the termination in clear and concise language and must state the facts that led to the termination. The bill also adds language to the law which specifies that any written warning or written follow-up to an oral warning issued to an employee is void and of no effect after a period of two (2) years if the employee has not been the subject of further disciplinary action with respect to the same area of performance, conduct, or discipline within the two-year period. This legislation clarifies that to satisfy any requirements of the law, an assessment can be used in place of a face to face interview by the commissioner or appointing authority. If an assessment is used instead of an interview, notice of such use may be included in the job announcement. The bill authorizes DOHR to provide input on all contracts with the private sector to perform basic clerical, unskilled or semi-skilled labor, or domestic, attendant or custodial work. This bill sparked considerable debate when TSEA’s friend Rep. Darren Jernigan proposed an amendment which would have placed a one-year moratorium on any outsourcing affecting current state jobs. The committee voted to table the amendment, but, the debate that took place builds the foundation for this summer’s Senate and House Joint Committee on outsourcing and legislative oversight of contracting of state services. Not less than thirty (30) days before a department or agency of state government executes a state professional facilities management contract for services within a state legislative district that would result in the outsourcing of facilities management services to private, non-state government entities, the respective department or agency shall notify each member of the general assembly representing such district of the contract. Also, on an annual basis, the department of general services shall provide a facilities management status report to the governor, speaker of the senate, and speaker of the House of Representatives. The report shall include, but not be limited to, the following information: (1) The departments or agencies executing a state contract for professional facilities management; (2) The number of state employees impacted by such contract; (3) The estimated cost savings of such contract; and (4) The cost savings realized by any such contract in place for one (1) year or greater. This legislation passed in the House State Government Committee and the House Finance Subcommittee. It was however defeated by a voice vote in the House Finance Committee. No activity in the House nor Senate is a better indication of the Haslam Administration reluctance for transparency than this bill. 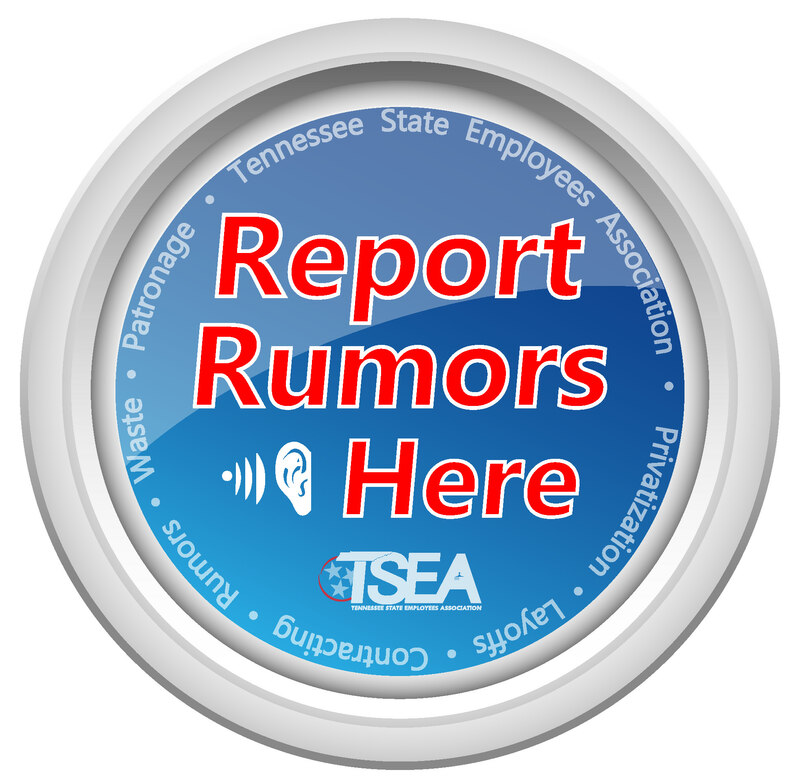 TSEA remains committed to allowing Tennesseans to know what state services are being outsourced and will continue to fight for such information to be publicly disclosed in a method readily available to the taxpayers. HB1156 requires each state governmental entity to quarterly provide the Comptroller a list containing certain information pertaining to all contracts and grants, excluding grants for higher education or research, exceeding $5,000, to the extent that the state governmental entity does not assume additional costs for providing such a list. The bill also requires the CPO to provide the Comptroller such a list on behalf of executive branch state governmental entities excluding institutions of higher education, the University of Tennessee system, the state board of regents, and any state university board. In addition, the bill requires the CPO and each state governmental entity to use existing data and resources without reallocation of resources; prohibits information that is confidential under existing law from being provided; specifies that only information that is available to the public upon request shall be provided; and authorizes the information to be submitted in any form or format in which it is maintained in complying with the legislation to submit such lists. Requires the Comptroller to make the list available on the Comptroller’s website. This Bill made it through two committees in the House, both the State Government Committee and the House Government Operations Committee. Issues arose in the House Finance. TSEA remains committed to better legislative oversight and will continue to pursue this legislation next year. Reestablish the legislative oversight committees on TennCare, children’s services, and correction and adds contingencies for the Select Oversight Committee on TennCare to employ staff or to enter into contracts for technical or professional services, if legislative staff are unable to staff the committee or provide the relevant professional services required of the Committee. Set the number of meetings for the Select Oversight Committee on TennCare to be at least three during the legislative session, rather than at least quarterly, with other meetings being subject to the call of the chair. Removes the sunset provision applicable to the Select Oversight Committee on TennCare. Require the Speaker of the House to appointment the five required members to the Select Oversight Committee on Children’s Services from the House Civil Justice Committee, rather than from the House Health Committee. Set the number of meetings for the Select Oversight Committee on Children’s Services to be twice a month during the legislative session, rather than monthly, with other meetings being subject to the call of the chair. Add the Department of Human Services (DHS) to the list of entities required to provide the Select Oversight Committee on Children’s Services with any financial or other relevant information as it may require. Plus, it adds DHS to the list of entities for which the Select Oversight Committee on Children’s Services shall perform legislative oversight. Establish that both oversight committees created by this legislation shall cease to exist as of June 30, 2020.